"Due to certain characteristics we see in Aleks, we believe he has Down syndrome"
"I was in shock, I over heard their suspicions on day 4 in the hospital. I did not see it, I didn't know what Down syndrome meant. I did NOT know what this meant for him." The real shock came later when Kim realized the extra chromosome really meant that he was extra special. She would love to share how Aleks not only taught her grace, but touches the hearts of everyone who meets him-he is a walking billboard for unconditional love. Kim will also tell you that having a special needs child has its challenges; from years of therapies-to long IEP meetings-to certain health issues, hear how she manages it all. "Oh (smile), this is why your hormone levels are off the chart!" "When I was 4 months along, I thought my water broke, I had to be rushed to the hospital 5 minutes before I had to go on national television." 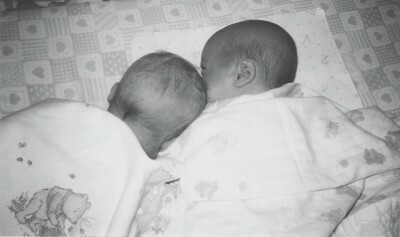 They were affectionately nicknamed Earthquake and Hurricane (she already had a 2 year old "Tornado") when Kim was put on bedrest for 3 months with weekly sonagrams. They were born at 35 weeks and the incredible bond she witnessed immediately was just the beginning. They could not be kept apart. 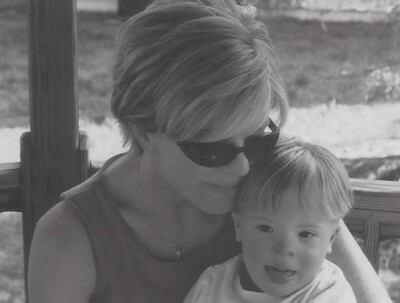 Learn how Kim raised them to stay close but independant and some of the challenges she faced with one having Down syndrome.